Summer’s definitely the best season out there, but it often passes by so quickly. Before you know it, September’s on its way and it’s time to start prepping for the new school year. If you’re a parent, you’re probably gathering everything you’ll need to move your scholar into their new dorm—and if you’re a student striking out on your own, you might be looking for a little guidance on how to get things going. 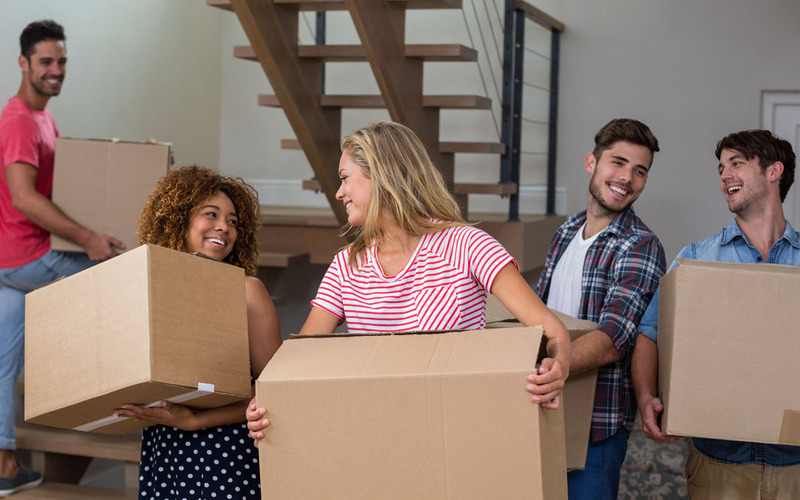 So, whether it’s the first year or the fourth, The Packaging Company has some tips on how to pack for university and help reduce the stress of moving. Want a printable version of our moving checklist: university edition? Download your FREE university moving checklist PDF at the end of this blog! Boxes, boxes, boxes. You’ll be surprised by how many you’ll need. Make sure they’re either durable corrugated boxes or quality plastic bins (they often come with great locking lids!). Then don’t forget packaging tape, markers and labels, packaging materials like bubble and wrapping paper, hand trucks and moving blankets. A Space Saver Wardrobe box keeps your clothes hanging in one place. Small and medium boxes are perfect for almost every standard item or appliance you’ll bring with you. Don’t over pack large boxes, or you risk box damage and personal injury. Use bubble cushion and wrapping paper on fragile items, and don’t be afraid to use a lot of it. You’ll save yourself potential headaches from accidental damage. It can be easy to forget what’s inside a box or what room you want it to go in. Organizing by room using coloured tape or labels makes sorting easy, and labeling a box with its contents means you can grab what you want, when you want it. Take an inventory of everything you’re moving. Figure out what room every box goes in and decide what furniture goes where. Immediately putting things where you want them will save you time during the move and during unpacking after. Save your back and legs, we can’t say that enough. Moving day can be the cause of serious injuries due to strain and improper lifting. Using a hand cart to move everything around, especially the bigger and heavier items, will help you avoid a trip to a doctor later. Things can shift during a drive, and when desks, beds, couches and exercise equipment meet, they can cause some serious damage to each other. Wrap furniture blankets around your couch, bubble pouches around your electronics, and spare floor runners around anything else to create enough cushioning to avoid scratches and dents. Extra Tip: Moving a TV but don’t have the original box anymore? Pick up a flat screen moving box and some padding. You’ll avoid heartache on moving day, trust us. It’s likely that you’ll be given a specific day, time and location for moving into a dorm or apartment. Keep that info in mind and you’ll minimize potential confusion, while maximizing your time, equipment and elevator usage. Once you’ve printed out that university moving checklist, you’re in great shape for moving day. You’ll have everything you need to pack up, move out and avoid as much stress as possible. For all your packing supplies, The Packaging Company is your moving partner.